Like all timeless stories, the world of Dent Strong is built on a rich backstory and features a host of lovable heroes and dastardly bad guys. 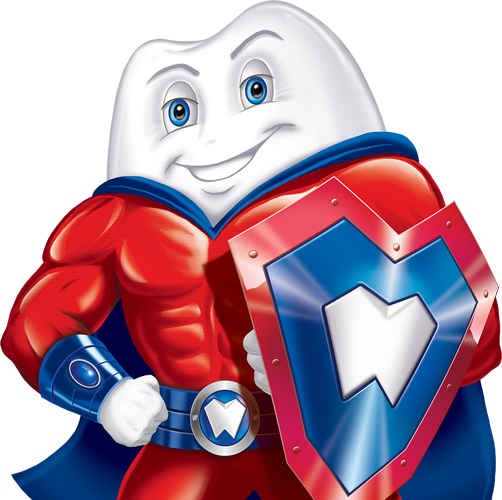 Dent Strong and his team are all about protecting children’s teeth and educating little ones about proper oral hygiene. The team battles Kraven Sweets and his minions who constantly try to sneak unhealthy sweets and treats into kids’ lunches and snacks. What Kraven doesn’t understand is that he’ll never win against knowledge and healthy choices. As the leader of the team, Dent Strong stands ever vigilant against Kraven Sweets and his sneaky minions. As his name suggests, Dent is super strong and powerful — he is a healthy tooth after all. Using his magical shield, he is able to defend against Kraven’s most powerful sticky spells. Dent Strong is passionate about keeping teeth clean and healthy. 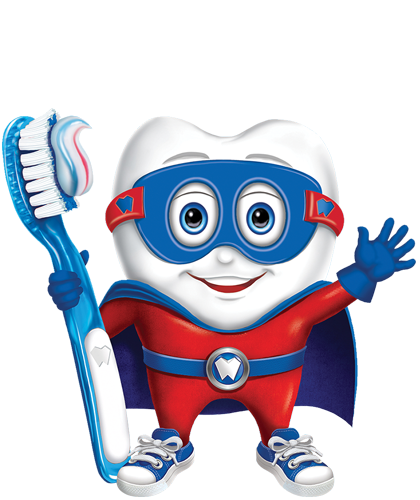 It’s his personal mission is to educate children everywhere about the importance of oral health and how to take amazing care of their teeth. TB Bristle is Dent’s #1 sidekick. Trained in the ways of the ninja, he is a master of stealth and martial arts. With his finely-tuned senses, TB is an incredible detective and tracker — nothing escapes his detection. 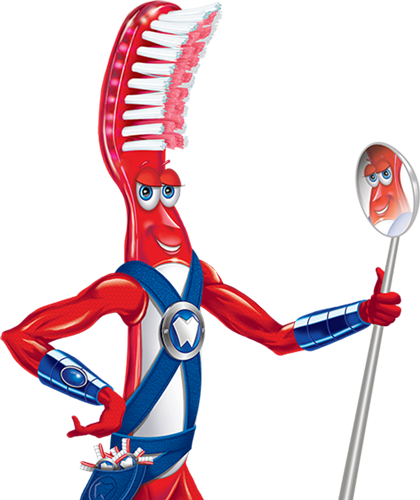 TB prides himself on being a toothbrush and is passionate about inspiring children to brush their teeth properly for 2 minutes. No matter the challenge, TB Bristle is always at the ready to have a brush with action and adventure. 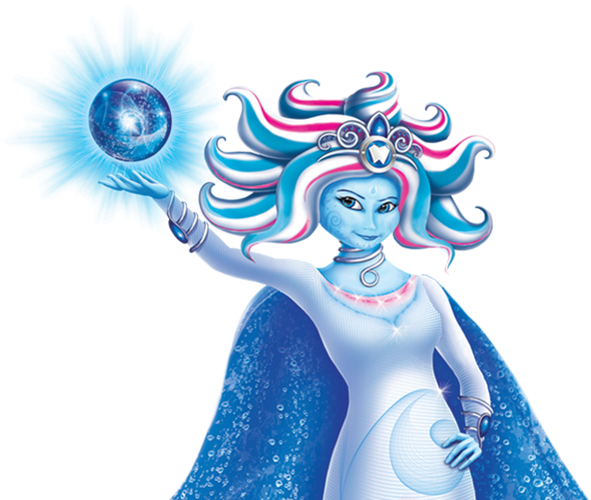 A magical princess from a distant, far away land, Flurry was sent by the Tooth Fairies to join the Dent Strong team. Raised in watery land, Flurry uses her water magic to help foil Kraven’s sneaky plans. Baby Tooth, BT for short, is the precocious host of Tooth Talk TV and is one of Dent Strong’s biggest fans. BT reports on the adventures of Dent Strong and his team. After having some sticky experiences with the Bacillus Brothers, BT’s goal is to help kids protect their smiles. He wants to help children everywhere stay cavity free. Created from candy magic, Kraven lives for sugar. 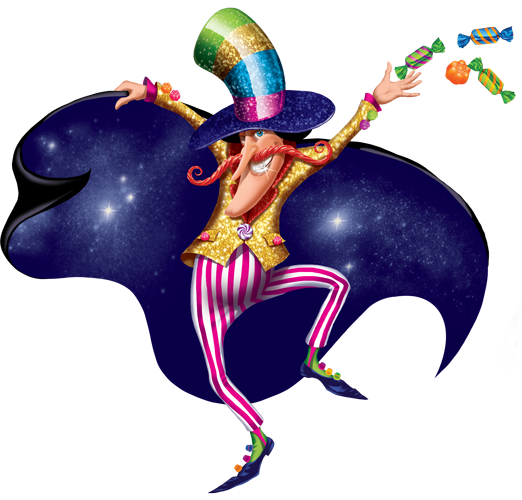 Crazy and hyped up on candy at all times, his goal is to get children everywhere to eat as many sugary sweets as possible. Unfortunately for Kraven, Dent Strong and his team constantly foil his sticky plans. As loyal minions, the Bacillus Brothers are always eager to help Kraven Sweets carry out his zany plans. They live for sugary foods and drinks. 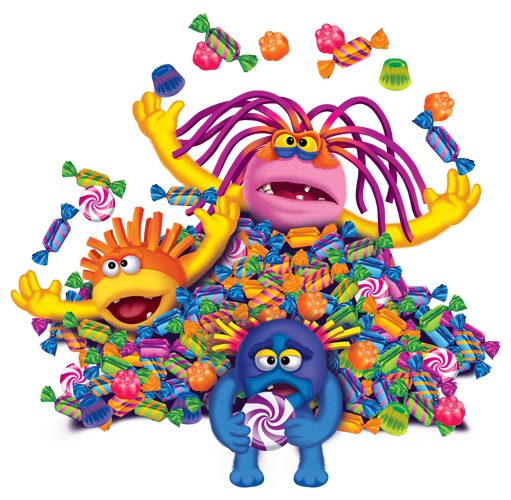 If there’s candy, the Bacillus Brothers won’t be far away. They love being silly and are frequent uninvited guests on Tooth Talk TV.